The University of California Cooperative Extension - Imperial County held its annual “agronomic crops and irrigation water management field day and workshop” at UC Desert Research and Extension Center on April 11. At this combined event (demonstration field and indoor workshop), 18 researchers from UC Davis, UC Riverside, UC Kearney Agricultural Research and Extension Center, UCCE Imperial and Riverside Counties, UC DREC, Imperial County Agricultural Commissioner, and water industry and private sectors came together to bring innovative ideas and solutions and disseminate the outcomes of their recent studies in the desert region. Tom Brundy, president of the Imperial County Farm Bureau delivered the opening remarks. The event was co-organized by UCCE Imperial county advisors; Ali Montazar and Oli Bachie. We thank all presenters, growers, DREC and all other participants for making this event successful. Tom Brundy, president of the Imperial County Farm Bureau, gave the opening remarks at the indoor workshop. Oli Bachie, UCCE Imperial County Director and Agronomy Advisor, talks about Quinoa for the low desert during the field demonstration session. Ali Montazar, UCCE Imperial Irrigation and Water Management Advisor, speaks about alfalfa irrigation and water management experiments in the low desert during the field demonstration session. Jairo Diaz, Director of Desert Research and Extension Center, explains an irrigation management experiment on fresh-market bulb onion during the field demonstration session. Richard Snyder, UCD Biometeorologist, talks on the advances in estimates of crop Evapotranspiration (ET) in California during the indoor workshop session. Khaled Bali, UC KARE Irrigation Water Management Specialist, delivers a talk on surface irrigation automation updates during the indoor workshop session. Steve Kaffka, UCD Extension Agronomist and Director of California Biomass Collaborative, speaks on sugar- beet powdery mildew in the Imperial Valley during the field demonstration session. Oswaldo Chicaiza, UCD Staff Research Associate, gives a talk on new durum wheat varieties for Imperial Valley during the field demonstration session. Rachel Garewal, Deputy of Imperial County Agricultural Commissioner gives an update on laws and regulations pertaining to chlorpyrifos during the indoor workshop session. Elizabeth Crutchfield, UCR Postdoctoral Scholar, talks about the effect of biochar on structure and water relations of a heavy clay during the field demonstration session. Michael Rethwisch, UCCE Crop Production and Entomology Farm Advisor, gives an update on pests of low desert agronomic crops during the indoor workshop session. Kristian Salgado, UCCE Community Education Specialist, gives an overview on CDFA Climate Smart Agriculture Incentives Programs during the indoor workshop session. Reinier van der Lee, CEO Vinduino, talks about the importance of volumetric feedback for automated irrigation systems during the industry update session. Fred Ahnert, of Toro Company, delivers a talk on Toro flow control tape & Aqua flow design software during the industry update session. Michael Gursky, SION CA LLC, talks on zero PH safe acid during the industry update session. We are pleased to announce that Kristian Salgado has come on board as the new Community Education Specialist II (CES 2) serving the University of California Cooperative Extension (UCCE) Imperial County. Kristian will provide technical assistance to farmers and ranchers in the area of voluntary implementation of Climate Smart Agriculture that includes Statewide Water Efficiency Enhancement Program (SWEEP), Healthy Soils Program (HSP), and the Alternative Manure Management Program (AMMP). Climate Smart Agriculture is a California Department of Food and Agriculture (CDFA) and University of California Agriculture and Natural resources (UCANR) partnership program. Kristian recently graduated from Humboldt State University with a Master of Arts in Social Science in the interdisciplinary Environment and Community Program. Her thesis research helped to identify neighborhood needs and possible solutions in Imperial County. Her research methodology was grounded in Participatory Action Research (PAR) and community sciences. She feels passionate about the proper dissemination and development of knowledge that can help support communities like the Imperial Valley. Kristian also has a BA degree from San Diego State University (SDSU) double majoring in Psychology and Environmental Studies. She is a recipient of the Association for the Advancement of Sustainability in Higher Education (AASHE) Student Sustainability Leadership Award, 2014, and the California Higher Education Sustainability Conference (CHESC) Best Practice Award- Student Energy Efficiency, 2013. She hopes to continue to use her Interdisciplinary Environment and Community backgrounds to conduct research that tackles the big social issues involving human-environmental interactions. She is interested in how humans interact with the environment and how nature influences human behavior and vice-versa, the well-being of humans, and the sustainability of the ecosystem. 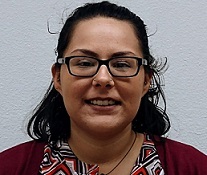 As a Community Education Specialist for the UCCE Imperial County, Kristian Salgado looks forward to working closely with the farmers and ranchers of the Imperial County on a variety of climate smart agriculture topics that are most concerning to them. Watch this short but very informative video about DREC. CHECK OUT OUR "LINKS" PAGE!!!!! WE HAVE ADDED A LOT. The latest research-based advice on weathering a drought is now available free online. The UC Division of Agriculture and Natural Resources is working to help farmers cope with the unwelcome outcome of historically low rainfall the last three years. UC scientists, with support from the California Department of Water Resources, have recorded video presentations on high-priority drought webpages.